The model Oxypas KARLA is a trendy, closed shoe, fully adapted to the needs of the health care professionals. The laces ensure that the shoe fits firmly on the foot. This closed model ensures complete protection of the foot. 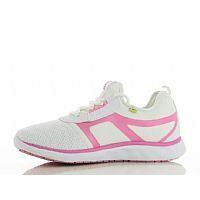 A soft inner lining in nylon ensures optimum comfort. 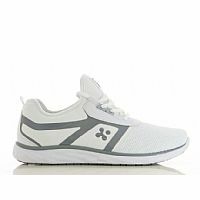 The outer material consists of high-tech breathable 3D mesh and elastic nylon for maximum flexibility and ultimate climate comfort. 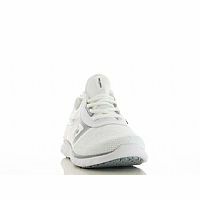 This shoe is designed on the ultimate anti-slip sole with Oxygrip� technology. This sole meets the strictest standards for slip resistance, on dry, wet and greasy surfaces. 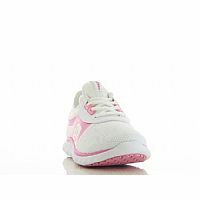 In addition, the sole has antistatic properties. The anatomically shaped footbed and the outsole that touches the ground at any point ensure a healthy support of the foot. 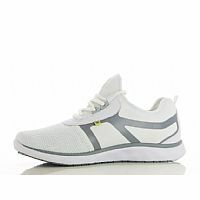 The Oxyfashion range is a trendy design with anti-static properties and an anti-slip sole. 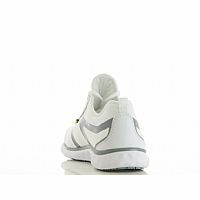 Shock absorbing: The midsole in EVA garantees shock absorption. Ultra light: The midsole in EVA is very light, flexible and shock absorbing. The average shoe weight is 8.81 oz or 250 gram. 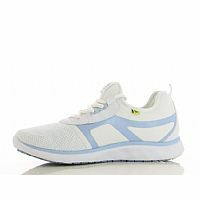 3D mesh respirant et nylon souple: Upper part in high-tech breathable 3D mesh and elastic nylon for maximum flexibility and ultimate climate comfort. 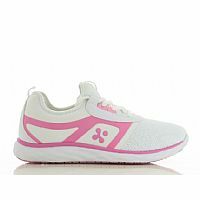 Renewable insole: The removable insole with memory foam provides great comfort when walking. If necessary, you can take out the insole and use your own orthopedic soles. Anti-static ESD: The shoe features a plug that improves the dissipation of static electricity and meets the ESD standard. Anti-slip SRC: TThe rubber outsole provides excellent grip, both on wet and dry floors and complies with the SRC standard. CE standard: CE EN 20347 certified.